Honoring outstanding performance, productivity and a commitment to continuous improvement in IT & engineering staffing & solutions. The TechServe Alliance Excellence Awards were developed to shine a spotlight on the performance leaders in our industry. The awards honor and acknowledge IT & engineering staffing and solutions firms that deliver outstanding performance, productivity and commitment to continuous improvement. The pursuit of excellence reflects a commitment to the future of your business, the quality you deliver to clients and the career opportunities you provide as an employer of choice. 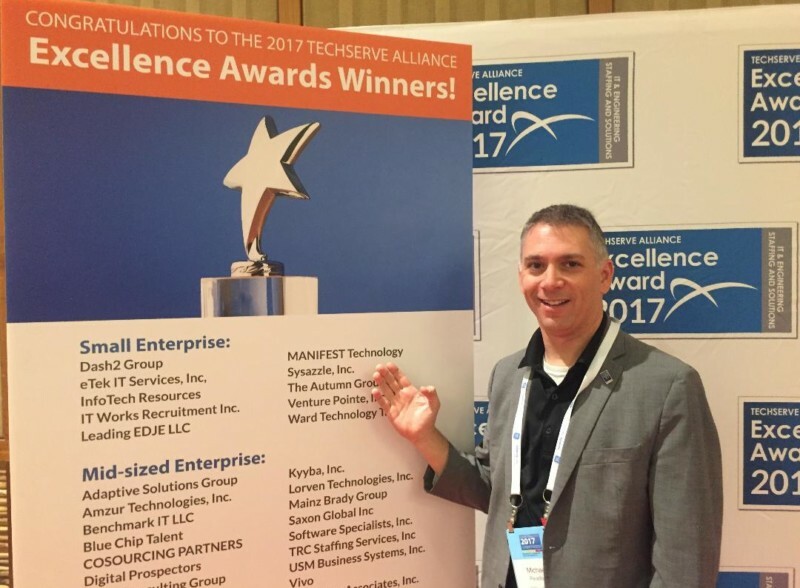 Winning a TechServe Excellence Award is a demonstration of that commitment and a clear differentiator in the marketplace.